It’s been a Christmas season of intense scientific research for friend of the site Matt who has stuck his neck out and popped it on the line by decreeing this the definitive order of amazingness in a tin of Celebrations. Has he got it right? 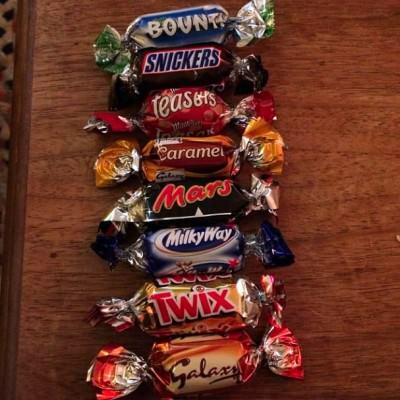 Or would a wise man definitely put Maltesers at the top followed by Caramel, Twix, Snicks, Galaxy, Mars, Milky, Bounty? Happy Birthday Audrey Hepburn, here’s a dancing cockatoo!